So, as you may now, Fedora 19 (Schrödinger’s Cat) has released for few days. And this time I decided to upgrade my PC immediately, and everything seems to be very smooth. Install Liberation Fonts (version 2). Fix the font's rendering problem. 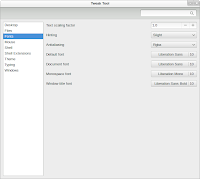 Liberation fonts are installed in Fedora by default. However, it is kept at version 1.07 with very poor quality. And to get the much better quality, I always upgrade them to version 2. You can download compiled fonts from the Liberation Fonts page or RPM packages from Fedora's page. I choose the former method. Now the Liberation fonts are ready to use. We will fix the font rendering problem before change font settings for GNOME to reflect what we have done so far. If you've ever see an Ubuntu screen, you may see a much better font rendering. The problem here is Fedora disable RGBA sub-pixel hinting. All you have to do is to enable such feature by install package freetype-freeworld from RPM Fusion. 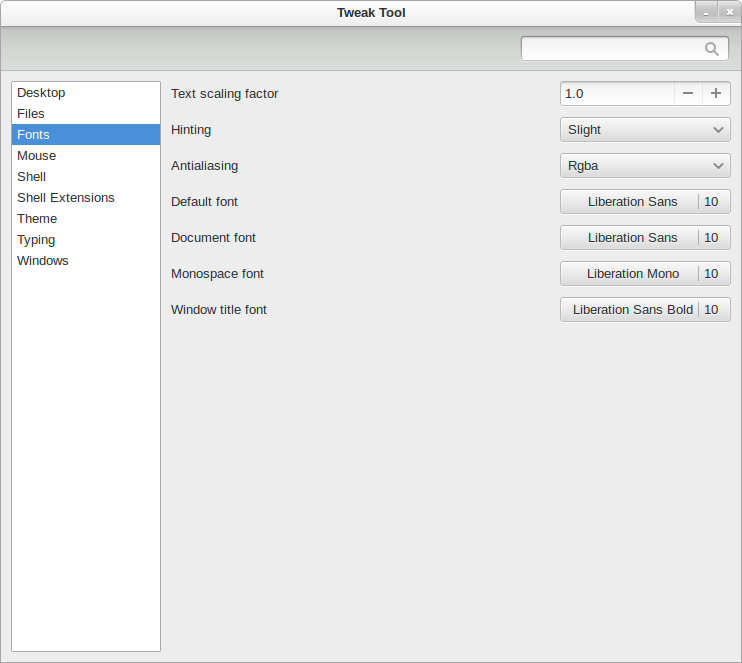 Now, to change the default fonts and default font hinting methods for GNOME, you should install gnome-tweak-tool. Change the default font settings as in the below screen. To make everything the same as Ubuntu, you should run the following command. You may need to log out and log in again to reflect the changes. This works great, especially on my 15,6 inch, 1366*768 display. I agree with De Goede. Thank you. Definitely makes a huge difference, thanks.